Recently a friend of mine gave me a piece of organic ginger that had a little shoot starting on it. I put it in a pot with some soil and it has been growing really quickly! 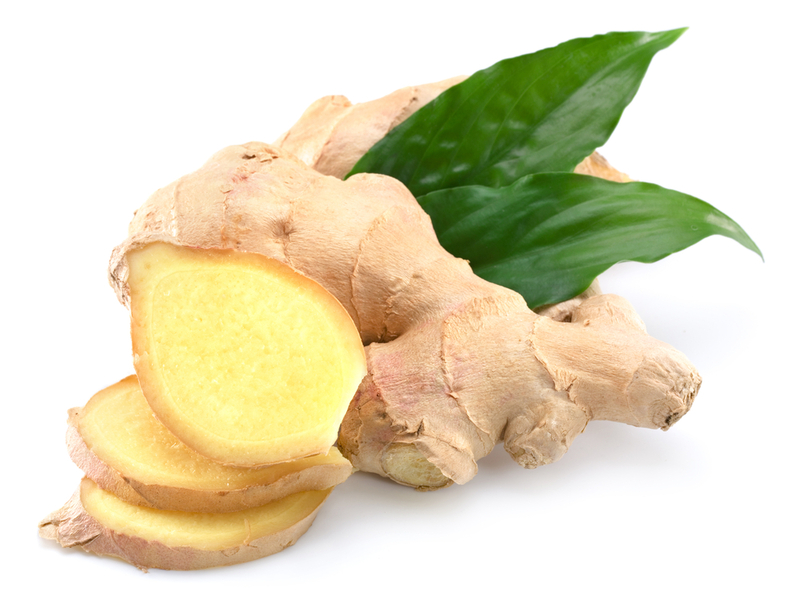 Ginger is a very useful and powerful food/herb. It is found in many traditional Chinese herbal formulas and is often added to many different foods all over the world. In the Chinese medical system, how the herb is prepared determines its medicinal qualities. Fresh ginger (sheng jiang) is used for acute colds and flu like symptoms if the person feels more chilled and sensitive to cold air than heat or warmth. It benefits the lungs by helping to stop coughing and also by getting phlegm out of the lungs. It also helps the stomach by reducing nausea. Fresh ginger skin (sheng jiang pi) is helpful for treating superficial edema by promoting urination. Dried ginger (gan jiang) is fairly easy to find in most grocery stores; usually it is in powder form. It has a similar function of fresh ginger of warming the lungs and benefiting the stomach but it’s medicinal temperature effect is warmer than fresh ginger. Dried ginger is better suited for warming the interior of the body for conditions of usually chronic, deep cold in the lungs and digestive organs. In Chinese medicine we are trying to bring the body into balance so it will be optimally healthy, so you shouldn’t use tons of ginger just because it is considered “healthy”. When I make an herbal formula for someone, I take in a lot of information about that person’s particular state of health while also considering their lifestyle and diet, the season, and the current weather to determine which herbs to combine with others so that it will be the most balanced for that individual at that particular time. Not only is ginger healthy and delicious, it also seems very easy to grow indoors, which makes it a very useful and convenient herb to have on hand.